When I attended the Historical Novel Society convention in June, I heard a panel that included Diane Haeger, who also writes under the name Anne Girard. 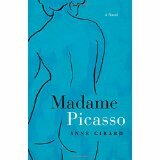 Her discussion of her novel Madame Picasso intrigued me, partially because it’s set in a fascinating time period and partially because it—like my novel The Ambitious Madame Bonaparte—tells the story of a bold, clever woman who isn’t widely known today. The novel recounts five years in the life of Eva Gouel, one of Pablo Picasso’s early lovers. The daughter of Polish immigrants, Eva wanted more from life than an early marriage and a domestic existence. In this way, she reminded me a little bit of my own Betsy Bonaparte. Eva moved to Paris without her parents’ knowledge or permission and eventually got a position as a seamstress at the famous Moulin Rouge. It was in this milieu that she came to know Picasso. The book effectively portrays Eva’s complex personality. When it came to her job, she was determined and at times daring. When it came to her love life, she was generous and supportive of the man she adored. The psychological portraits of Picasso is also quite interesting; Girard portrays a more vulnerable and giving man than the Picasso of legend—although one that is every bit as arrogant! The settings add further interest to the book. Seeing backstage at the Moulin Rouge made me feel like an insider for a day, and I loved the chapters that covered Picasso’s painting excursions to various locales in France and Spain. I don’t want to give too much away about the development of the two main characters’ relationship except to say that it did not disappoint. I thoroughly enjoyed this historical novel and give it five stars. 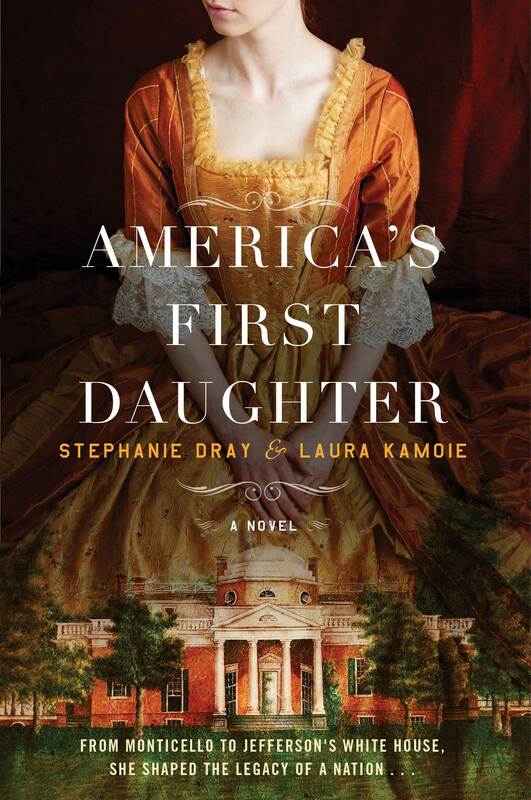 I was fortunate to meet the author Stephanie Dray at the Historical Novel Society convention in June, and today I am pleased to participate in the cover reveal for America’s First Daughter, which she wrote with Laura Kamoie. LAURA KAMOIE has always been fascinated by the people, stories, and physical presence of the past, which led her to a lifetime of historical and archaeological study and training. She holds a doctoral degree in early American history from The College of William and Mary, published two non-fiction books on early America, and most recently held the position of Associate Professor of History at the U.S. Naval Academy before transitioning to a full-time career writing genre fiction as the New York Times bestselling author of over twenty books, Laura Kaye. Her debut historical novel, America’s First Daughter , co-authored with Stephanie Dray, allowed her the exciting opportunity to combine her love of history with her passion for storytelling. Laura lives among the colonial charm of Annapolis, Maryland with her husband and two daughters.